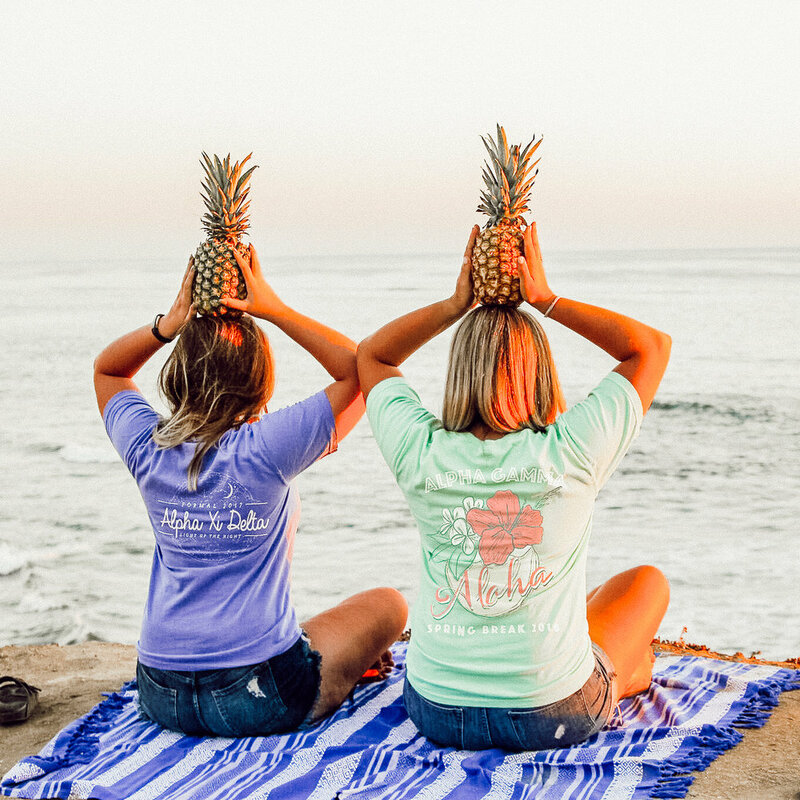 Neon South is a sorority and fraternity apparel company based out of Dallas, TX. This opportunity has made me realize the importance of networking in the marketing world. A good friend from third grade (yes, third grade), set me up with her boyfriend's company that was looking for a social media manager. A few calls and a month later, the position was mine. Currently, Neon South + I are busy. I am in charge of three Instagram accounts and their subsequent Twitter and Pinterest accounts. We're also doing an entire rebrand on the business, so working on brand building during the midst of a big change is challenging, but oh so rewarding. As the social media manager for Neon South, I oversee all social channels, including Facebook, Twitter, Pinterest, and three Instagram accounts. These social accounts total over 23,000 followers, while our Pinterest sees over 125,000 views per month. I manage the creative direction for each account as well as provide the CEO with opportunities for growth via paid advertisements.